Although nail polish is considered as a ‘leave-on’ product, it leaks to the environment by scraping and could be easily ingested by us. Many people and kids bite – for example – their nails. This makes the question relevant if nail polish contains plastic. 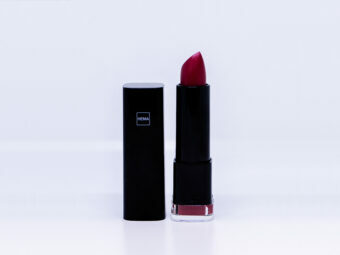 To answer this, the Vrije Universiteit van Amsterdam (VU) performed an analysis on the ‘Multidimension top coat – a cut above’ nail polish by Essie. To be able to identify plastic particles, a FTIR spectrometer was used. The results show that Essie nail polish contains a lot of glitter made out of ‘polyethylene terephthalate-PET’ (plastic) particles (PET). 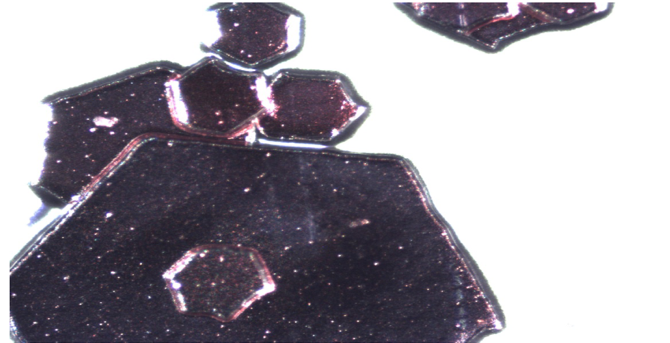 These plastic particles had a kind of hexagonal structure, varying between 200 and 1200 μm (0.2-1.2 mm). Treating the sample from the nail polish with nitric acid did nothing to the structure of the PET particles. It remained intact in its shape, except for their colour: the particles became transparent. What are the implications of these results for our health? There is no definite answer to this question yet, although recent scientific research findings are disturbing. On March 22th 2019, a total of 15 ground-breaking research pilots will start looking into some of the most burning questions related to plastics and human health. The VU will continue to perform tests on various products we use on a daily basis, and these results will be shared with the public by the Plastic Health Coalition.